The Betsy Bag is a 3-in-1 bag. It’s a roomy carry-all, a drawstring bag, and a sleek tote all in one. The top of the bag telescopes down for a classic tote, or expands up for a larger shopping bag. You can reposition the straps to make Betsy taller or shorter. Plus there is an optional drawstring to close the top for a more casual style. A very versatile bag that takes you from business lunch to a playdate to a farmer’s market stroll. 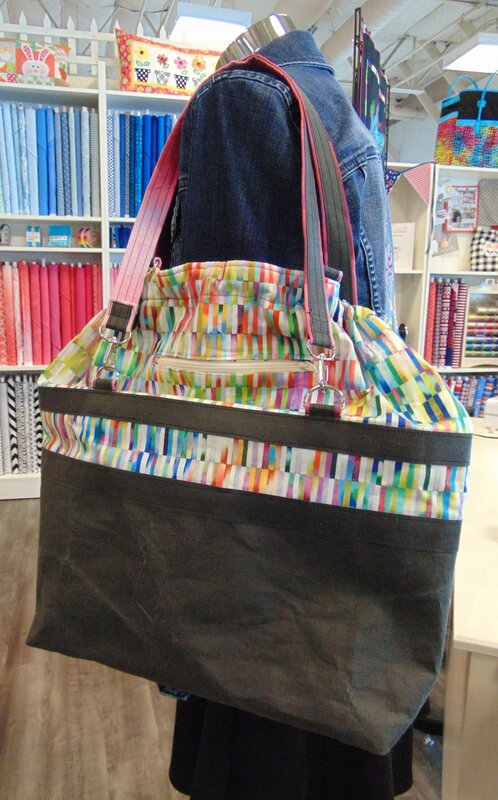 In the Betsy class you’ll learn how to work with kraft-tex and make a self-faced exposed zipper pocket.